Almost every washing machine problem you run into should be treated right away. Aside from the fact that you need your washer to be able to do your laundry, ignoring a problem can cause worse issues to form very fast. It might not be a deadly leak; problems can happen internally one after another, and eventually the damage is irreversible. If you want to get your washer repair in Oak Park IL and save on the cost of replacing the appliance -- get in touch with us! We have offered Oak Park washer repair services for many years and boast a crew of repair techs with many decades of experience maintaining and repairing washing machines in the Oak Park IL area. 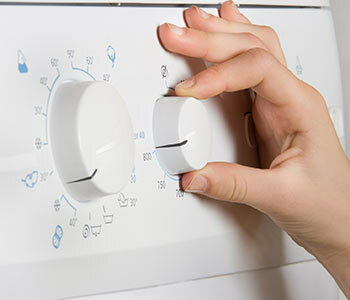 In the event you need a washer repair, we can have a technician out to your home as soon as the same day. Promptly upon arrival, our repair guy will inspect your problematic washer and craft up a solution. The fix they determine will indicate the washer parts that must be replaced to finish the job. We come pre-stocked with various common washer parts in our work vehicles, but we also have direct access to washer parts in Oak Park IL from discount and wholesale suppliers. Upon diagnosing your issues, we will give you a fair estimate on the total cost for the repair job. For every washer repair in Oak Park IL we take on, only the labor and parts are billed. If you are uncertain whether your washer should be fixed or replaced -- just give us a call with the specifics and we'll try to help you out without the need of an in-home valuation. Either way, if you are ever in need of washer repair services and you are within Oak Park IL limits, we are here to help! Try this three-step approach to fixing washer problems! First, reset your washer by pulling its power cord for one minute and plugging it back in and opening/closing the door six times in 12 seconds and then run an empty load to see if it works. Second, test the lid switch for continuity with a multimeter to see if it's working right. Third, do the same but with the water level control switch. These are the three quickest resolutions that apply for a multitude of washer problems; if none work, there are many other continuity tests that will help.